Bringing about a bevy of funky grooves to magnify the momentum gained, TAI follows up on label debut ‘In & Out’ with a fresh record. A team-up with vocalist Hanna Iser, ‘Paradise’ marks TAI’s second offering to the Armada Deep label. A twister of soulful vocals and rugged beats, ‘Paradise’ is the number one mood setter at the slew of pool parties and fiestas that spice up every single year. Its cheerful piano chords and catchy rhythms make it spin toward the feel-good side of music, inspiring the amassed clubbers to celebrate the music as if it’s their last day on this earth. In the past few years, TAI has cemented himself among the most talented DJs and producers of this era. The Munich-based wonderworker teamed up with huge artists such as Diplo, Watermät, Bart B More, Steve Aoki and Felix Da Housecat, and soon saw his inbox jam-packed with remix requests from none other than Deorro, Sam Smith, Steve Aoki, Angger Dimas, Swanky Tunes and more. As a DJ, TAI has indulged in several continental tours (Europe, Asia and Australia) and made name for himself by way of his eclectic live sets. Among his career highlights are irrefutably electrifying performances at Tomorrowland (Belgium), Big City Beats (Germany), Beat Patrol (Austria), Future Music (Australia) and thrilling sets at a full range of globally renowned venues and clubs, including Pacha, Privilege, Create and Space. For the first time ever, Andrew Rayel and Jochen Miller have joined forces for a brand-new single. 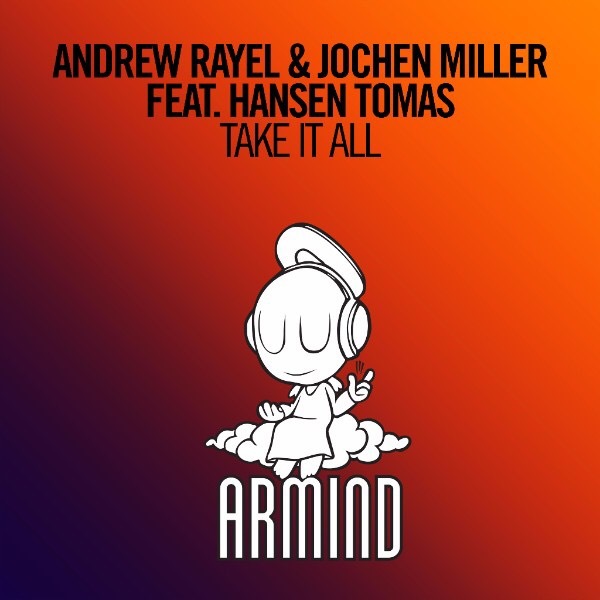 ‘Take It All’ features the vocals of Hansen Thomas and was released today on Armind. A grand mixture of sturdy beats, soaring vocals and a mesmerizing piano breakdown, ‘Take It All’ is arguably the pair’s most club-wrecking record yet. After the gorgeous breakdown, the track lifts off with larger-than-life synths and pounding bass, displaying an ideal blend of power and melody that few can resist fist-pumping to. 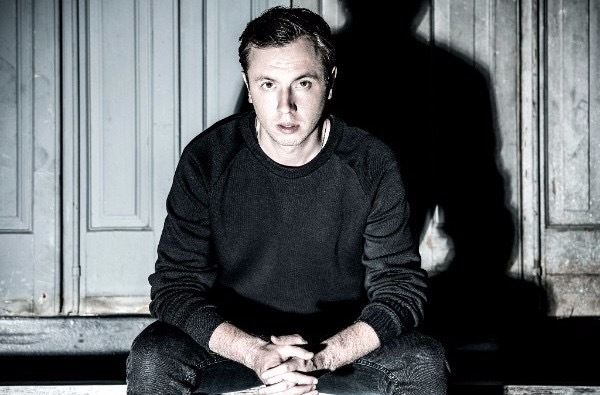 More than often touted as key artists in their respective scenes, both Andrew Rayel and Jochen Miller are currently in the prime of their long-standing careers. Andrew Rayel is one of the flag bearers of the Trance scene and has performed around the globe at major clubs and festivals such as Tomorrowland, Electric Daisy Carnival, Ultra Music Festival, Electric Zoo, and A State Of Trance, as well as having a Las Vegas residency at Marquee Nightclub. 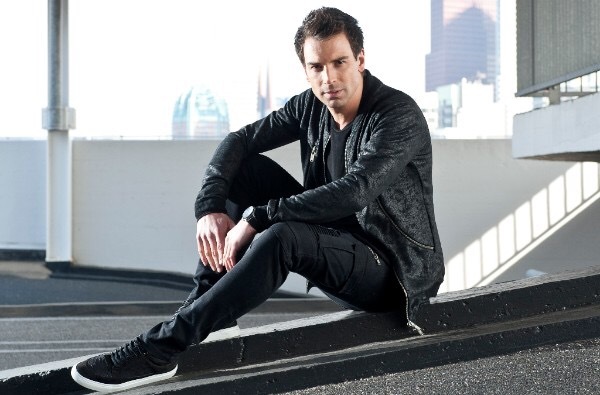 Adding to the already impressive list of his newly found collaborator, Jochen Miller has seen his signature sound spread all over the world. Among the clubs and festivals conquered are Pacha New York, Marquee Las Vegas, Privilege Ibiza, Creamfields, Ministry Of Sound, EDC, Sunrise Festival, Stereosonic and various editions of A State Of Trance. 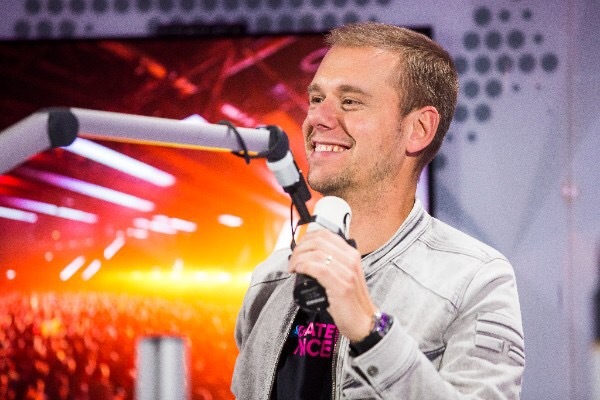 Less than three months before A State Of Trance 800 touches down in Utrecht, the Netherlands, Armin van Buuren has given rise to the official anthem of the biggest Trance event in the world. 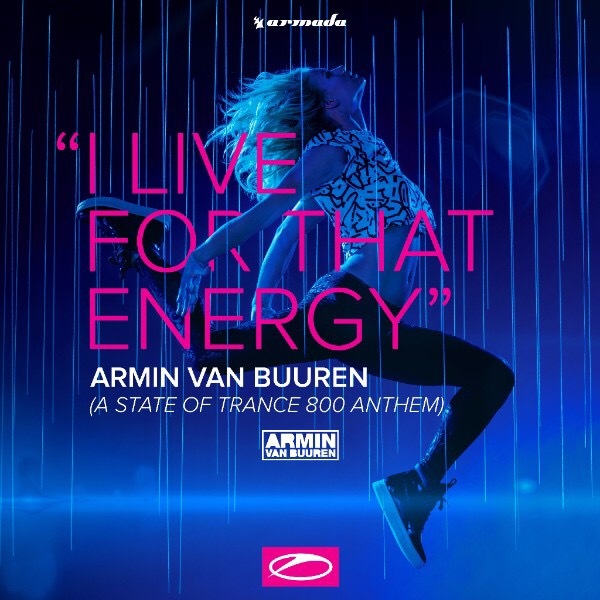 ‘I Live For That Energy’ is to serve as the prime mood setter of A State Of Trance 800 and was released on his A State Of Trance label today. A sure-fire way to get fans from all over the world in A State Of Trance, ‘I Live For That Energy’ takes after its predecessors. 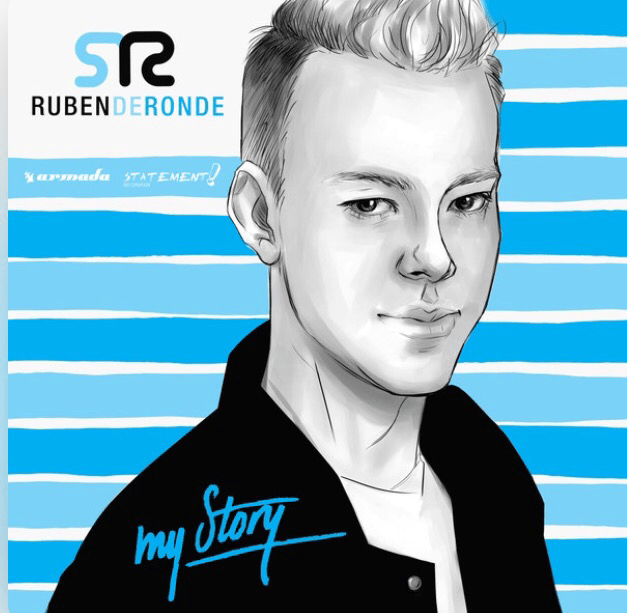 Just like the previous anthems for A State Of Trance, this track harbors tremendous power and overflows the crowd with waves of energy while blowing their minds with an exceptionally dulcet melody.